Become a better leader, coach employees, team members, staff and peers to a higher level with help from our executive coaching program. Overcome small challenges that impact the work day. Turn set back into setups for opportunities to problem solve, brain storm solutions and overcome hurdles. Those who Coach-Up today have a knowledge set and proven method to better their company or business. Through Coaching; morale will stay high, employees will experience personal growth and the company will operate at a higher level. This course will take you through a mentality shift of what a team is. We will evaluate levels of behavior, insubordination or negative actions. Together we will go through each stage of the Coach-Up track until we emerge with a conclusive result at the end of this leadership training program. "For centuries verbal warnings yielded no results, and formal write-ups killed moral and sparked employees to shutdown. The Coach-Up method has mitigated this primitive method of management. People around the world are embracing this innovative approach, used to grow teams in a positive an productive way." Training COURSE ... SEE BELOW! The birth of the Coach-Up leadership training method. Where companies are today and why the Coach-Up executive coaching had the ability to be born. Introduction to the levels of severity; examples of each level and actions that may occur if that level is reached. Where does a verbal warning fall? Is a write-up appropriate? Perhaps most of your time can be spent on level 3, the Coach-Up level. We will go on a quick journey together through a story from one of our founders. This will set the foundation for why the team is so important. You cannot do it alone; whether growing a company or your career. What kind of team do you want to be a part of? For everyone the answer will be different. However, we found one united theme. This we called the Team Mentality. Listen to a perfect analogy that defines this theme. Wrong-Tell and Opportunity-Ask. This is something you can share with your team immediately. Initiation is so important; this interaction will be the spark that will grow your people and better your team. Learn how to get from negative event or action to a Coach-Up session utilizing the TEAM acronym in an efficient and effective way. We end this module with an introduction to a case study from Wow Widgets Worldwide. To build anything great you need some sort of tools right? Learn about the tools you will have at your disposal; Coach-Up Reference Guide, Coach-Up Track Sheet, and Coach-Up Card to assist with the executive coaching program. This is the body of the Coach-Up track, what questions should you ask? How should you respond? What is the goal of the session? Learn the 7 simple questions you can utilize every time to overcome common work related challenges. Then learn about SMART Goals and how they will be the driving force for change. What are checkpoints? Why are they so important? Here you will learn the intention behind them, and how to execute them through your leadership training program to foster an environment of accountability and progress. Look back, listen and learn about how the Coach-Up has progressed for the employee, what milestones in our executive coaching program were met and where that leaves an employee in overcoming a challenge. Did they meet or exceed the goal? Whats next? Through the online portal you will have access to all the lessons needed to become a Certified Coach-Up Implementer. The course fee includes (3) three exam attempts of the final Coach-Up exam. You will have technical support through the sign-up, study and exam stages. You will receive a Coach-Up certificate. Our executive coaching program follows the idea that knowledge is the potential for power. Knowledge and desire to implement the Coach-Up Track creates a solid foundation for leadership and fosters the growth of a team and company. Upon passing the CCUI leadership training course exam you will be able to use the CCUI designation in your email signature, on business cards, Linkedin and more! 1. Who is eligible to administer a Coach-Up? There is no prerequisite to be trained to administer a Coach Up. However, this learning material, exam and role in life should not be taken lightly. The best candidates come to the table with a passion for people and the desire to help others grow; particularly within their current store, office, or company. 2. How do you receive a Coach Up Certification? To receive a Coach Up Certification the first step is to register for member access. As a CUCI.org member you will have access to multiple lessons, materials and support needed to acquire the information needed become a CCUI. Once you are confident in your ability the next step is to take and pass the Coach Up exam administered by CUCI.org. Upon completion of the exam with a passing grade of 70% or higher you will be issued a formal certificate. 3. What are the benefits of adopting a Coach-Up mindset? Those who have a Coach Up mindset bring a rare skill set to the table. As a business owner utilizing the coach up methods you are saying to your team; you care. You want to see them grow as people and grow within your company. As a employee or potential job candidate you can offer something many companies have never heard of. The opportunity to turn negatives into positives, to reduce job turn over and increase job performance. 4. I am not a manager or senior level employee would this course help me? 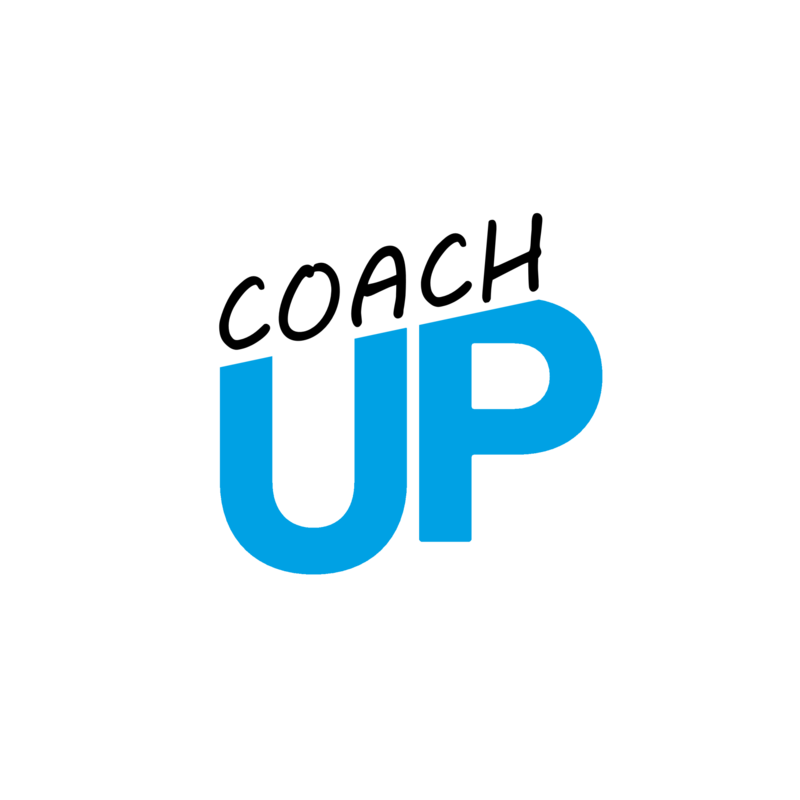 Coach Up is not just a tool; its a philosophy you can carry forward through life. At this point in your journey you many not be a manager or senior level employee. Down the path of life you will have to train, guide, and oversee others. Even if its just one person in the beginning; knowing that you have the tools and mindset to make that happen gives you confidence and strength in who you are and what you are capable of. 5. We have a large organization will you certify multiple team members? Certifying multiple team members is an excellent idea. In small business we certify supervisors, managers and district managers. As organizations grow they frequently request department heads and their individual teams be certified. To receive the best pricing please reach out through our contact us page. 6. Where is the Coach-Up exam taken? The Coach Up exam is taken online through our Cuci.org portal. The exam will consist of 30 multiple choice method based questions and 10 True/False based questions. You will have 2 hours to complete the exam. No matter where you're from or who you are, we'll welcome you with open arms. "Simply put I can no longer remember what life was like without the coach-up method. I look forward to my job as those tough moments don't exist anymore. It's almost like having another person with you helping through conversations and redirecting guidance." "We found managers were reporting that write-ups meant nothing and slowly they decided to stop taking action. The incorporation of the Coach-Up method created a new spark and provided a platform for managers to engage, train and grow their team members and bringing validation back to serious offenses if they should occur in the future. We have seen immense change since using the Coach up method. " "I was a new assistant manager; having been promoted from supervisor. The clothing store I worked for had a standard system for dealing with people who violated company policies. We followed those procedures and seen them repeat time and time again. We asked our district manager for approval to try a new method. With the Coach up method we were able to use challenges as a platform for additional training. This changed everything for us. Our store associates learned why we did things a certain way; and even trained others! I was amazed and think this can help so many people."